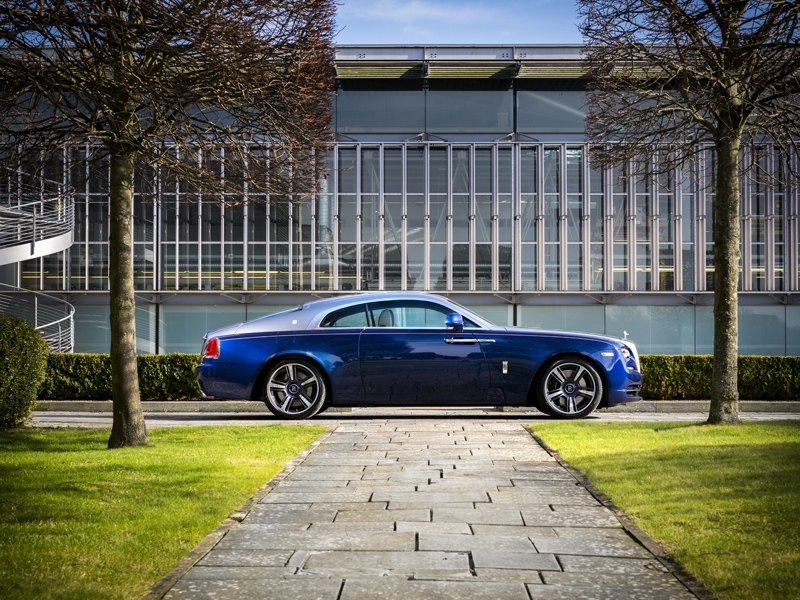 Performance complements the drama of exterior styling. A shorter wheelbase, wider rear track, 624 bhp / 465kW derived from the twin turbo V12 and a 0-100kp/h of 4.6 seconds give expression to the car's dynamic looks. 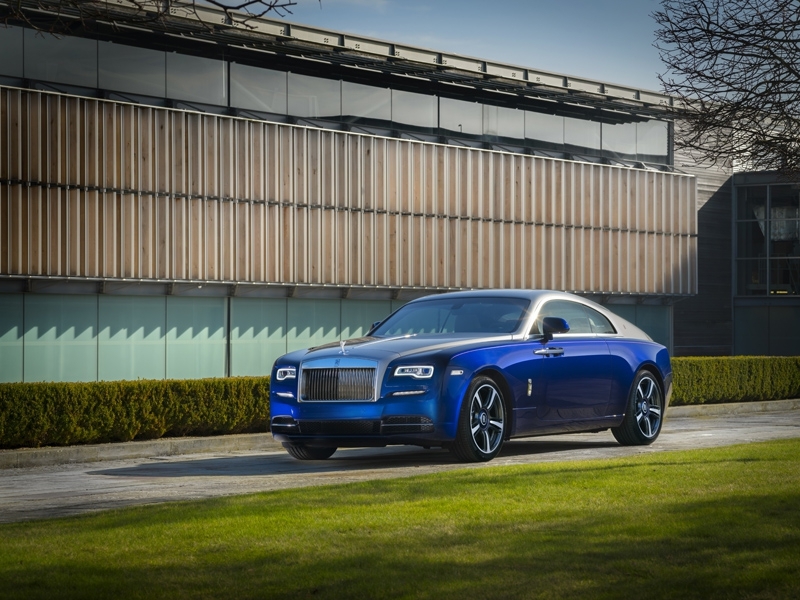 Complementing Satellite Aided Transmission, Wraith's further dynamic enhancements include a more direct steering response to aid precision in corners, as well as more dynamic spring and damper settings. 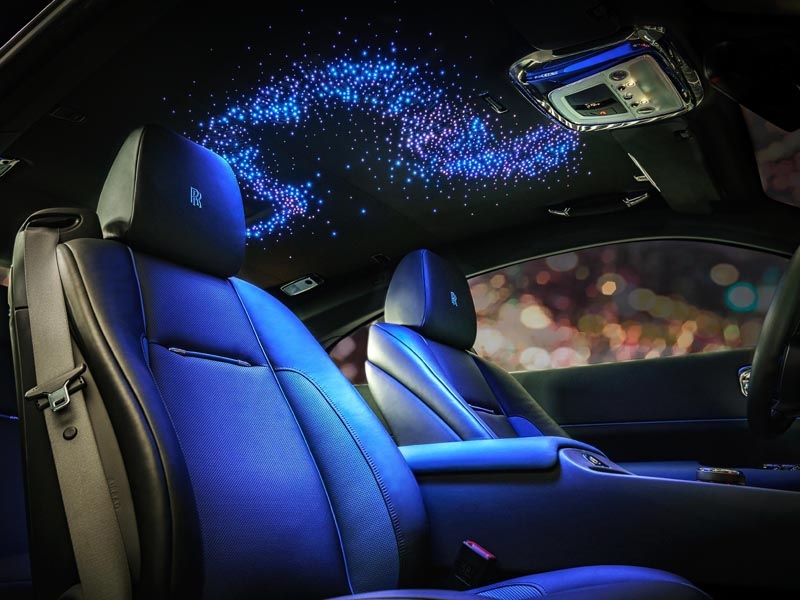 for the first time beyond the Phantom range - features thousands of tiny fibre optic lamps hand-wovenby craftspeople into the roof lining.